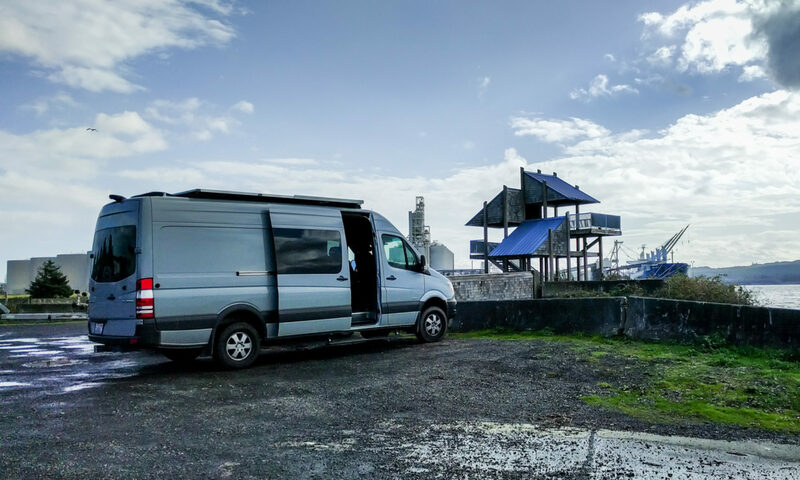 We ordered a four wheel drive sprinter on the day they first came available in North America. The dealership completely screwed up, and sold our van to somebody else – probably on purpose. 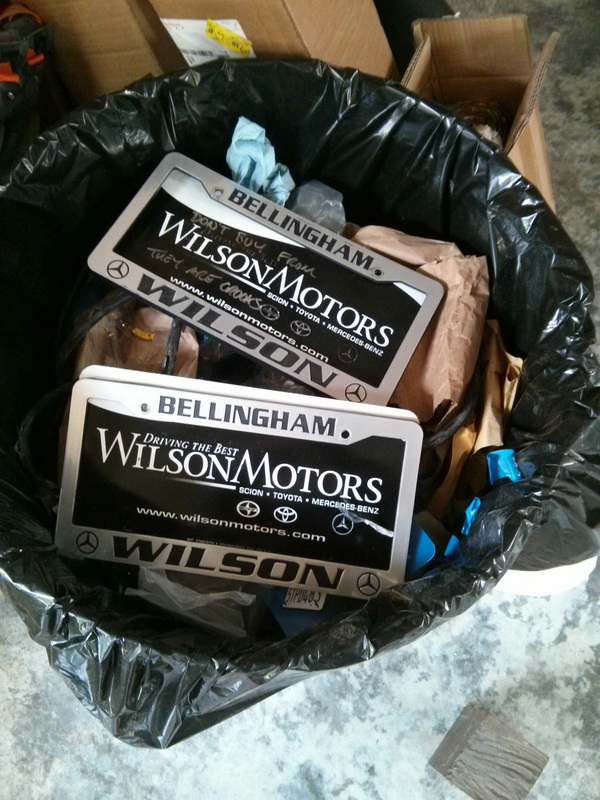 All I’ll say is, never use Wilson Motors in Bellingham, WA. They are dishonest and care more about how much money they can save than about customer service. Luckily, they’d found a replacement 4×4 which kind-of sort-of was OK for our needs. We took it rather than waiting another six to ten months for a replacement to get built in Germany and then shipped across. We didn’t end up with most of the options we’d ordered, like suspension seats or the Active Safety package, and the van we took home had several things we’d never have ordered – what use is an alarm system if you’re parked in a forest? Or alloy wheels on a dirt road? Or the crappy Becker GPS system. Still, it was a crew van (one row of passenger seats, windows in the sliding door and behind the driver) and had 4×4, which was our primary reason for waiting so long for the van. Plenty of room inside for the conversion we want to do, and hopefully the 4×4 will look after us when we’re heading to remote mountain bike trails. hello i am just starting my build and have so meany question to ask, i would love to pick your brains about a lot of things I’m finding out that there is a lot of thing over my head right now so if there is any way i could send you guys an email with some question that you could maybe help me out with that would be amazing. ps i love your van build it looks a mazing. Rather than just asking us your questions, why don’t you join the Sprinter forum and benefit from getting several opinions? If you haven’t checked it out already, go to http://www.sprinter-source.com/forum and see what’s happening there. Spend a couple of days seeing how the forum works, then start asking your questions. The search function on the forum is pretty bad, but it does sometimes turn up good results for the things you might have questions about. Really wish I had found your site sooner. 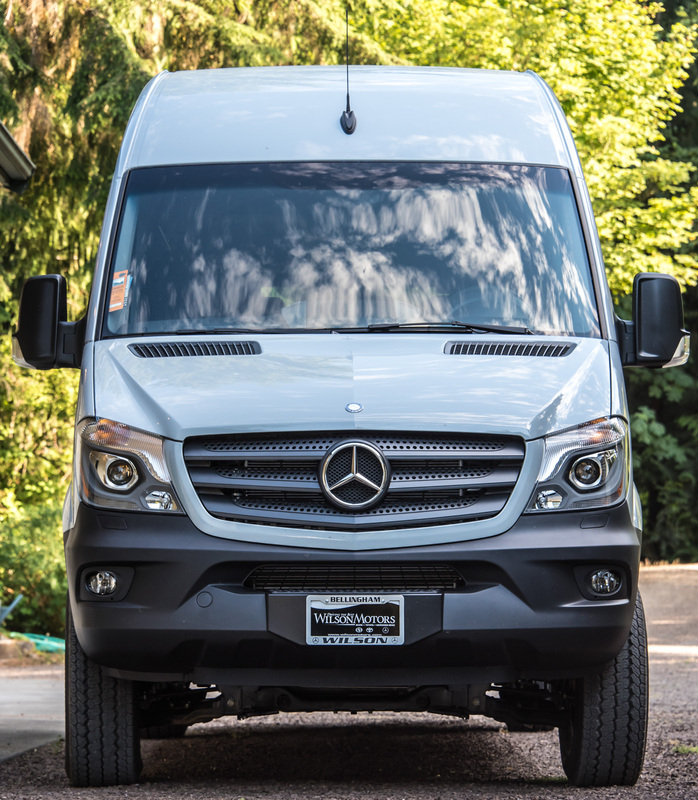 I just bought a sprinter from MB of Bellingham but haven’t picked it up yet. Having to deal with a lot of BULL right now… Just curious who all you dealt with so I can prepare myself for disappointment. I’m sorry for you Charles. If you can walk away/get your deposit back, I suggest you go to the Lynnwood dealership instead. I dealt with Michael George, the commercial sales person. When things deteriorated, I dealt with Julian Greening. Michael wasn’t very knowledgeable about Sprinters and admitted he prefers selling Nissan vans. Julian was more concerned about not losing money than about not losing goodwill. The dealership recently changed ownership (it’s not owned by Mr. Wilson any more) but it sounds like if anything things have got worse subsequently. Good luck – keep us posted on how things turn out for you.